SophieLens Pro is a photo editing app for your Windows Phone 8 device that lets you apply a wide range of filters to your photos. SophieLens Pro is a fairly straight forward photography app that launches straight to a camera app that previews the selected filter in the view finder. The filter style is noted in the bottom left corner of the view finder and two button controls sit on the right edge of the view finder that controls the flash and changes the filter. You can snap a photo by tapping the screen or by using the Windows Phone camera button. Filters are separated by category. With SophieLens Pro you have a Standard, Lomo, Vintage, and Life in Mono packs. The Lomo Pack is notes as being free for Nokia Lumia devices but loaded on the HTC 8X as well. Not sure if this was a promotion or the various filter packs were originally intended to be sold separately. When you go to change filters, just press the filters button to pull up the filter pack currently in use. To switch filter packs, you just tap the filters pack button that is off to the right side of the screen. The effects filter collection with SophieLens Pro is nice (maybe a little dark for some though) and gives you a wide range of options to give your images a unique feel. There's really only a handful of downsides to SophieLens Pro. 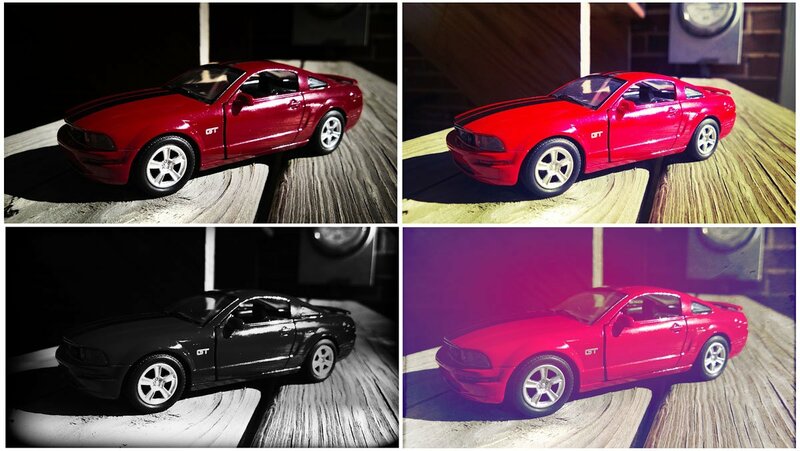 First, you can't apply the filters to existing photos. Second, images are resized from the original size of 3552 x 2000 down to 1280 x 720. It would have been nice to have seen a full-size option. Lastly, there's not a trial version available for SophieLens Pro. While we like the filters and the simplicity of the app, it may not appeal to everyone. Maybe just offer one filter pack with the trial? Just enough to give everyone a feel for things. SophieLens Pro is currently running $1.29 and is for Windows Phone 8 devices. 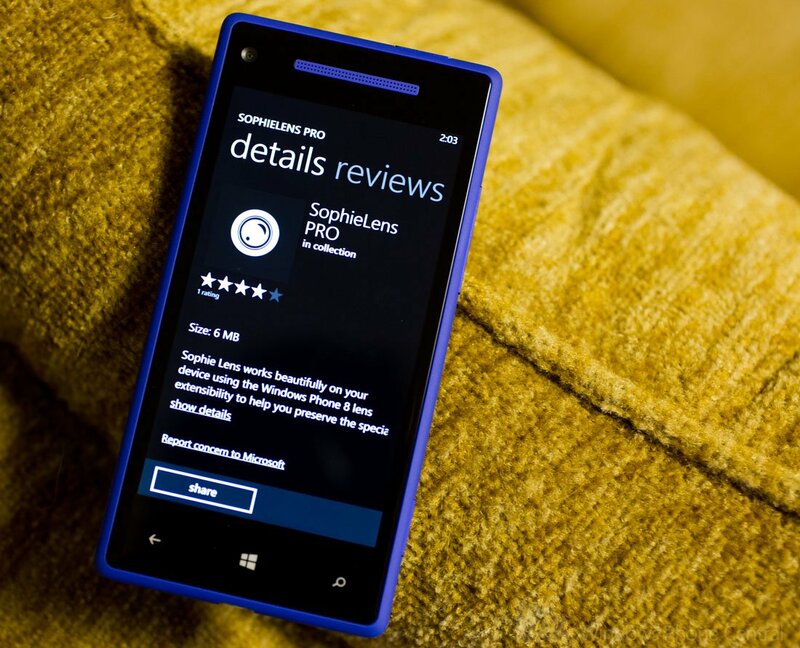 You can find SophieLens Pro here in the Windows Phone Store.